A limited edition embossed metal keychain featuring Tsem Rinpoche's words of wisdom “When you work for others you enjoy waking up to live”. Get one today and show your support for Tsem Rinpoche's blog. 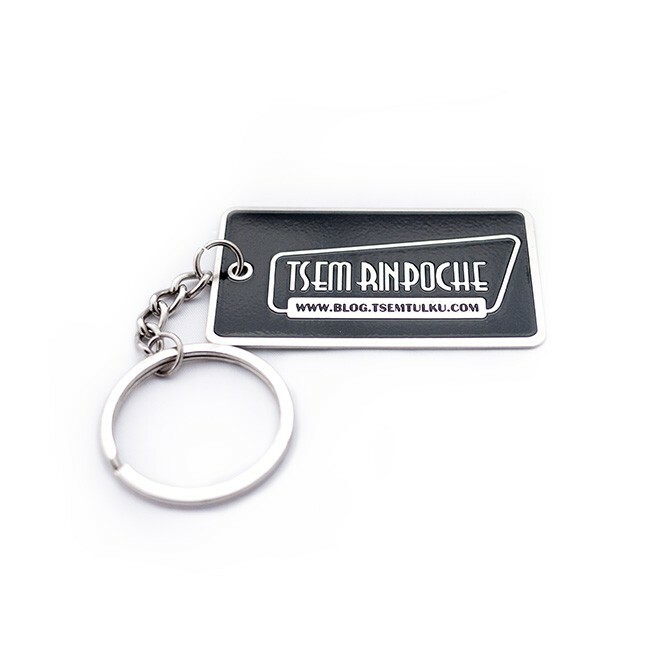 Tell the world you're a fan of Tsem Rinpoche's blog with this exclusive limited edition metal keychain. Each key chain features a black background with Rinpoche's words of wisdom embossed in silver. On the opposite side is the tsemrinpoche.com logo. 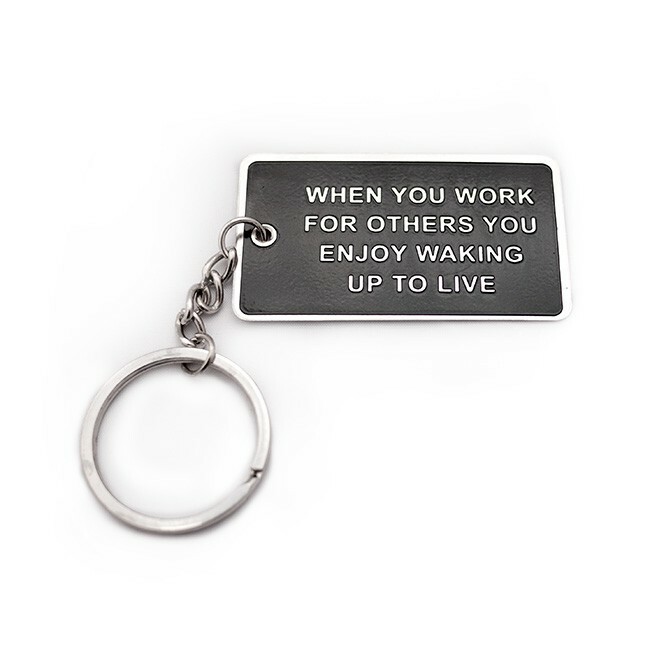 Featuring the quote “When you work for others you enjoy waking up to live", this keychain reminds us that true happiness arises from benefitting others, and to use our precious human lives in the best way possible. Get one today and share Rinpoche's message with your friends! Also makes a thoughtful gift for a friend in need of inspiration.